White Lion also offers nozzle extensions, cyclone water separators and scrambler as accessories for our dry ice blasting devices. This way our machines can be conditioned to every commitment. Even custom-made items, which exactly match your needs, are possible. Contact us! The Scrambler is mounted inbetween the dry ice blasting gun and the dry ice nozzle. Inside the scrambler the dry ice gets pressed through sieves, which refine the dry ice and therefore create an even more regular dry ice jet. Industrial compressed air contains large amounts of liquid condensate. The removal of this condensate is of the utmost importance in protecting the compressed air system, ensuring that the drainage system works properly and, ultimately, reducing the operating and maintenance costs for the system. The danger with dry ice blasting is that the condensate will freeze. That is why it is important to subject the compressed air to the best possible drying process. 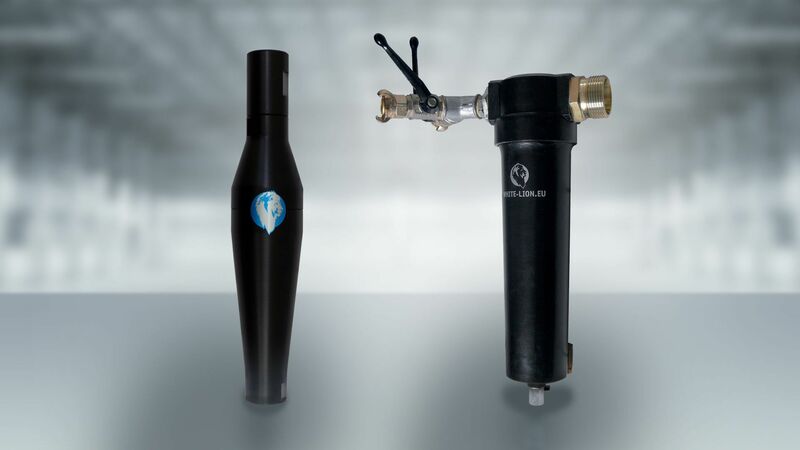 White Lion offers a highly effective solution to this need, a solution that can remove more than 99% of the liquid condensate from the compressed air system. We offer a complete range of products, available in numerous configurations to meets the needs of any user. 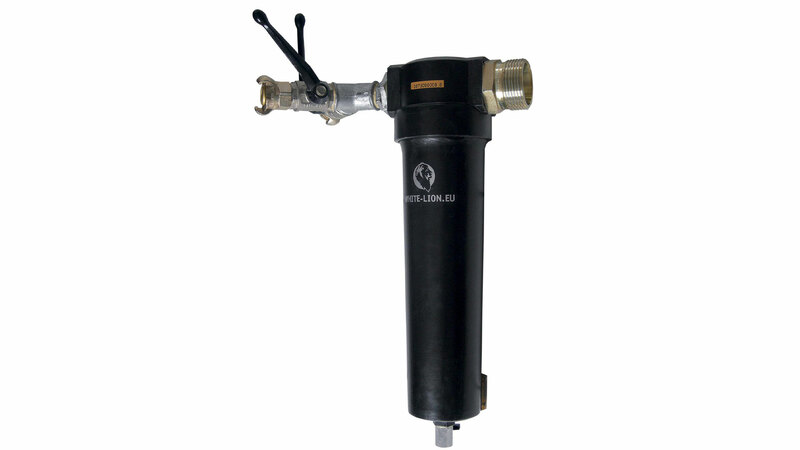 The water separator is easy to install and operate, and requires no maintenance or external power source. It is perfect for installation behind the air compressor (even if the compressor is equipped with an aftercooler) or for on-site installation for a wide range of niche applications. Often machines and other objects, that have to be cleaned are difficult to reach. Nozzle extensions and angular nozzle attachments can help to achieve the right distance to the object. The work gets more comfortable and the blasting performance increases. This also manifests in the results. 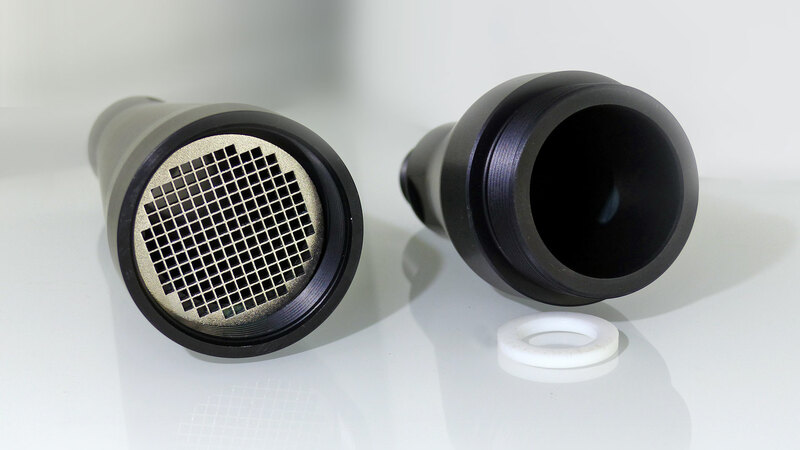 In order to fulfill your tasks more than satisfactory, White Lion produces nozzle extensions and angular nozzle attachments only to customer specification. Besides 45° and 90° angular nozzle attachments every angle you need is possible. If you need a nozzle extension, we recommend a length from 50 cm up to not more than 150 cm.